Welcome to Thursday's Weekly TV Wrap Up. Today we have a chunk of news to chat about. I want to touch a bit on the television broadcast digital conversion and how well it went, or maybe not so well for some. Then we'll touch on some True Blood ratings news, Heroes casting info, Bones renewal info and some Lie To Me news. We'll then toss in some info on Patrick Swayze's The Beast, My Name Is Earl and some Law And Order: SVU cast news. Of course, I wrap it up with TV and cable ratings from last week. As the television world went digital last Friday, for many it was a flawless event. For some, not so flawless. 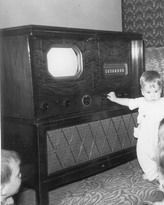 One experience noted was that of a consumer who bought a digital TV, and later, a "digital" antenna to prepare for the transition - yet when the switch happened, they lost their local ABC and CBS stations. They had issues because when the digital switch happened, stations went from the UHF to the VHF band and the antenna this consumer bought was designed only for digital UHF stations. So much for the digital sales pitch on the product. Hence, consumer beware. There are digital receivers on the market that receive both bands. Be aware of that. Nearly all stations that changed were using the UHF band until the change last Friday and now they're almost all on VHF. Force the converter box or digital TV to rescan for channels that moved to the new frequencies on Friday. If that doesn't work, try a technique called double rescanning. What that entails is disconnecting the antenna from your TV or digital converter box. Then rescan again. Turn off your TV or box. Then turn it / them back on. Connect the antenna and scan one more time. This procedure helps clear saved channels from your TV or box memory. With the 2nd season premiere of True Blood kicking in at HBO, the ratings reflected viewers approval of the show. The episode averaged 3.7 million viewers, which made it the most watched episode in two years for HBO, since The Sopranos. Rick Worthy, who played the Simon model Cylon from Battlestar Galactica, is in negotiations to join the cast of Heroes. The role will be a recurring role as Matt Parkman's (Greg Grunberg) new partner. Worthy brings a wealth of experience with him. He's been in various shows prior to BSG like CSI, Fallen and Enterprise just to name a few. They're talking about this as if it's a done deal but they did note they are still in negotiations. Do you think he'll be added to the list of new Heroes cast, along with Robert Knepper and Madelina Zima?